Prysmian 132kV straight cable joints and termination sealing ends are designed in accordance with IEC6080 and suitable for jointing and terminating aluminium and copper conductor cables. 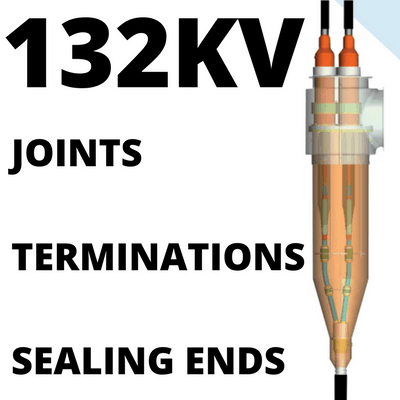 Full range of 132kV Jointing Tools to enable cable preparation prior to installing joints, terminations or sealing ends. All designs are generally in accordance with IEC60840. 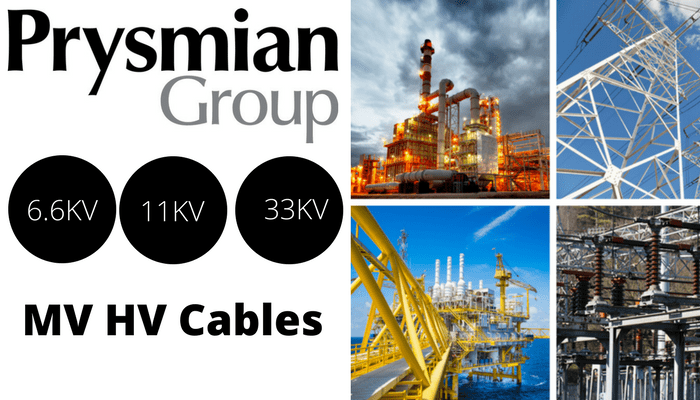 MV HV Prysmian Cables for medium and high voltage electrical systems, typically distributing 6.6kV-11kV-33kV power – we provide competitive prices for MV-HV cables and accessories including joints, terminations and connectors from extensive stocks to UK and international destinations.